Halloween is all about trick or treating… and what better way to prepare your little ghoul or goblin for a hard night’s doorbell-ringing than with this homemade treat bucket? It looks fantastic completed… and even better full of sweets! 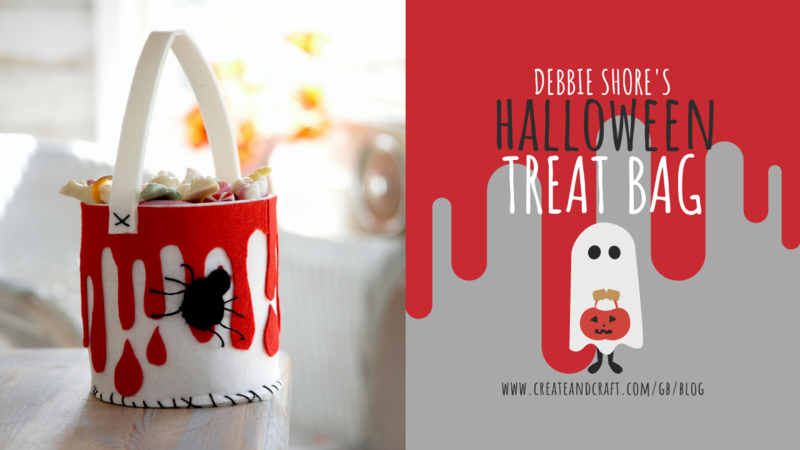 Check out Debbie Shore’s simple step-by-step project below, and discover how to create your own Halloween Treat Bag in just five easy steps!